Product #5645 | SKU XRM-105 | 0.0 (no ratings yet) Thanks for your rating! The Hosa XRM105 Unbalanced Interconnect Cable (5ft). This cable is designed to connect gear with phono outputs to gear with XLR inputs. For best results, match the high output impedance to the low input impedance. 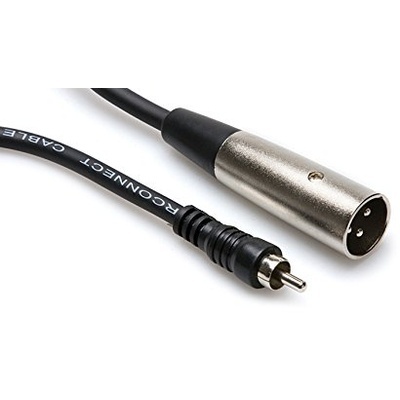 This audio interconnect cable features a plastic-molded RCA male connector at one end and an XLR male connector at the other end.